Jeep's CEO has confirmed that a diesel-powered version of the Grand Cherokee will be unveiled at Detroit next month. So how about that Wrangler diesel now? The rumors have been flying for quite some time now and it appears they&apos;re about to become a reality: Jeep has just announced that a diesel-powered version of its Grand Cherokee will premiere at the Detroit Auto Show next month. The news comes courtesy of Ward&apos;s Auto, who reports that Jeep President and CEO Mike Manley stated of the upcoming reveal that "If the emails and the letters I&apos;ve gotten from Jeep customers are anything to go by, it will be very, very good." 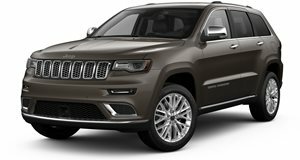 The diesel Grand Cherokee will be powered by a 3.0-liter V6 turbo oil burner with an expected output of 237 horsepower and 406 pound-feet of torque. Expect for the six-speed automatic to be the sole transmission offering. However, this isn&apos;t the first modern Jeep with diesel power. Some may recall the outgoing Liberty was briefly available with a diesel beginning back in early 2002. Although it lasted only until mid-2003, the Liberty diesel generated a small, but loyal following who&apos;ve been clamoring for a proper replacement. The time has finally come and we need only wait until next month for all the juicy details. Italy loves Jeep. Especially the big bad range-topping model. It was a memorable vacation, to say the least. It's also a sweetheart to drive around town. Oh, and it costs nearly $90k.